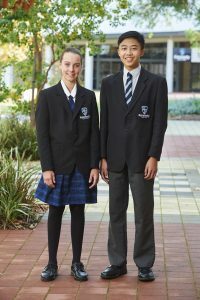 Summer uniforms are to be worn by all students in Terms 1 and 4. 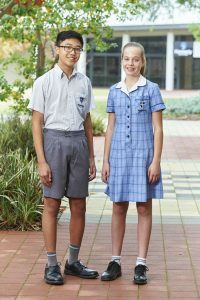 All students must be in full summer uniform from day one of Term 1. A new Uniform Shop opened in 2016 providing an ambient area in which to view and purchase the Kennedy uniform. With modern fitting rooms and comfortable seating areas, we guarantee that a visit to the uniform shop will be an enjoyable experience. The Uniform Shop is located on the ground floor next to the Lower Foyer and adjacent to the car park located on the Eastern side of the campus. For further information please contact the Uniform Manager Mrs Kerry James via email. To book a uniform fitting (if you haven't already organised this), please ring Kerry, our Uniform Shop Manager (9314 7722 - ask for Kerry) to arrange a suitable time for a uniform fitting appointment. 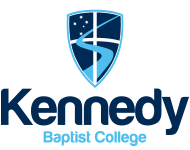 Kerry can be contacted Monday to Thursday from 8.00am to 3:45pm. The Uniform Shop will be open during the 2nd week of the school holidays. Holiday hours will be Tuesday 23 April, Wednesday 24 April and Friday 26 April from 8.30am to 3.30pm. Please note that the hours on Monday 29 April will be from 8.00am-9.30am, 11.00am-12.30pm and 1.00pm-3.45pm. Please Note: The uniform shop is closed between 12.30 and 1.00pm for lunch and the latest fitting appointment is 2.00pm. Closed on Friday.